Get you copy of the film now! Here you'll find some little-known facts about the Norwood plant, F Cars in general, and many other vehicles that Norwood produced since it opened in 1923. We'll have loads of this stuff in the documentary! During its development, the Camaro convertible, being a semi-integral body with a sub-frame, had a flexibility that resulted in an unacceptable torsional vibration. Basically, when it drove, it had an annoying shake to it. When Pete Estes, newly appointed Chevrolet General Manager, was given a ride in an early prototype, he noticed the problem and directed the engineers to fix it. Though they tried all the conventional structural solutions they could think of that had worked in the past, nothing seemed to help. Finally, they resorted to hiding vibration dampers in the four corners of the car. This trick had been used successfully in big Thunderbird and Lincoln unit-bodies in the late ‘50s and early ‘60s, and in Corvair convertibles since 1965. These steel cylinders, containing heavy weights on springs suspended in oil, were tuned to act as harmonic dampers to absorb the vibrations and stabilize the body. Dubbed “cocktail shakers,” they worked perfectly! Mr. Estes was pleased when he was taken on his next demonstration ride until he found out what they had done. He was not impressed with the inelegant solution (they added about 100 pounds to each car), and was very vocal about his disappointment. 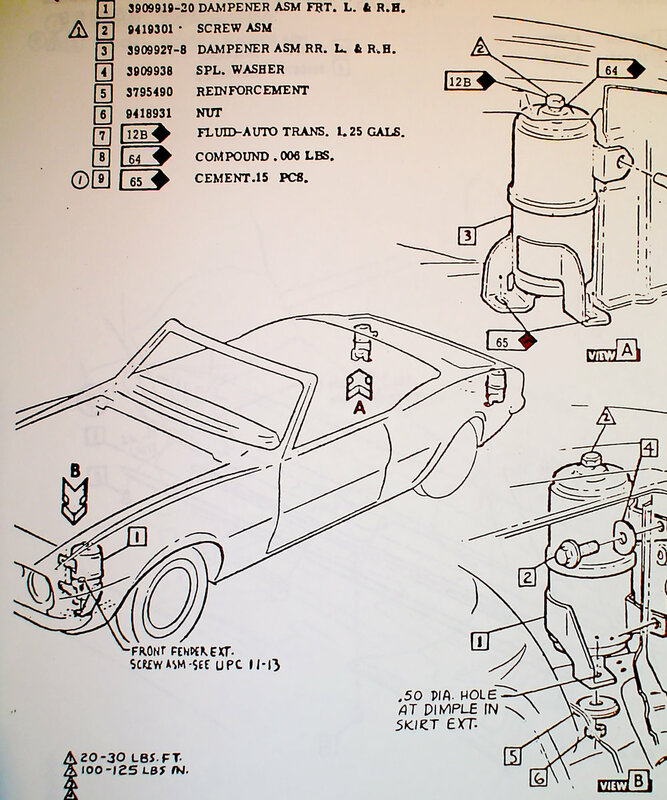 The engineers continued to work on the problem until the convertible was dropped from the Camaro line in 1970, but they never succeeded in getting rid of the cocktail shakers. Did you know that the same man that brought the world the early 1980s, beautifully styled and ahead-of-it's time, DeLorean DMC-12, or better known simply as "The DeLorean", also created the stylish and powerful Pontiac Firebird in 1967? 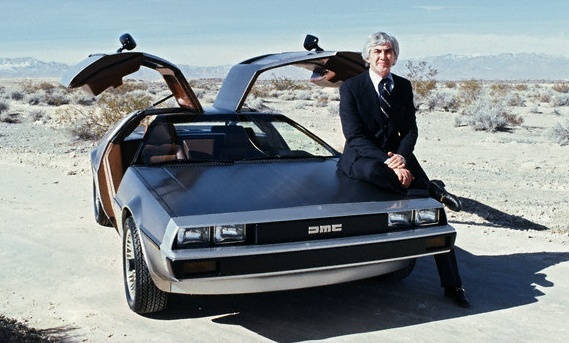 In 1965, riding high on his credited role of creating the American muscle car movement with the Pontiac GTO, John DeLorean was promoted to head the entire division of Pontiac at General Motors. In a move to create something even sportier than the wildly successful GTO, DeLorean tried unsuccessfully to develop a production version of the 1965 Pontiac Banshee concept. Fearing a cannibalization of the successful Corvette market, GM brass refused to allow DeLorean to further develop the sporty 2 seater. As a consolation, GM offered the XP-836 platform that Chevrolet was developing for DeLorean to create his new Pontiac sports car on. DeLorean wasn't happy. Being shoehorned into a car platform that wasn't developed by Pontiac wasn't what DeLorean wanted to do, but given no alternatives, he vowed to make the Firebird a formidable rival to the Chevrolet side Camaro. In many ways the production Firebird outperformed it's Chevrolet sibling. DeLorean immediately saw the rapid gains that Chevrolet was making in powerful performance options offered in the Camaro, however. Not to be outdone, DeLorean, immediately set out to create a super sport version of the Firebird. In 1969, after moving Firebird assembly from Lordstown, Ohio to Norwood, the 1st production model Trans Am roared to life, sparking a performance arms race between Chevrolet and Pontiac that lasted for decades. In the years after the release of the first generation F-body, General Motors couldn't shake declining revenue, but Pontiac remained highly profitable under DeLorean. Despite his reputation as a corporate maverick, DeLorean went on to be promoted to head Chevrolet. Some claim that DeLorean purposely ended the COPO program and streamlined the RPO options of the Camaro under his Chevrolet tenure to give the Pontiac Trans Am a performance edge through the early 1970s. His nostalgic feelings of being the underdog at Pontiac were the alleged motive. Regardless of what really happened, DeLorean grew increasingly frustrated within the corporate culture of GM while heading the flagship Chevrolet Division. In 1973, John DeLorean left General Motors to create the Delorean Motor company, creating the Delorean Safety Vehicle (DSV) concept. That later evolved into the Delorean DMC-12 production car, and the rest is history as they say. Next time you watch Marty McFly travel through time on the big screen and think, "What a cool car! ", you can thank the same man that created the Firebird, and consequently, the rivalry between Chevrolet and Pontiac making the F-Body, born at Norwood, a true automotive legend. John DeLorean at GM with his new 1967 Firebird. 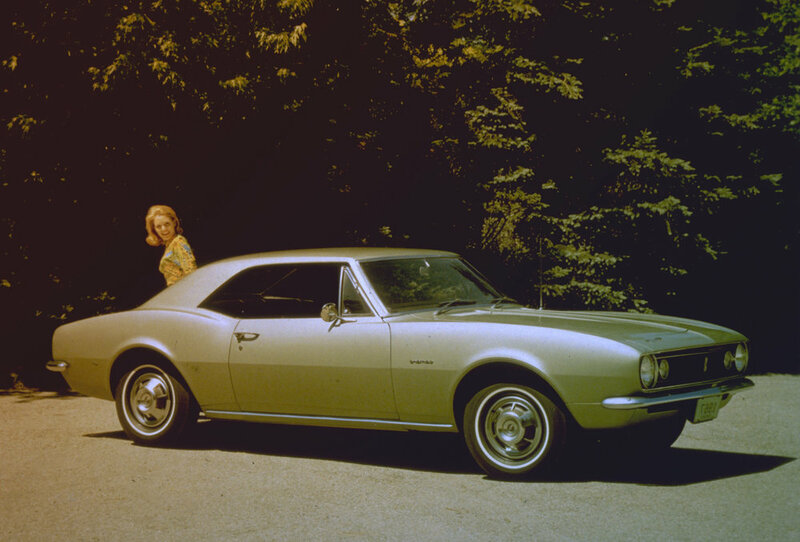 Before the Camaro got its name, it was referred to internally at General Motors by its project code name, XP-836. This brand new 1967 "F-body" platform was on a fast track for a late 1966 release to go head to head with the Mustang. While development was still underway on this new vehicle, press packages, including write-ups and photographs, were being prepared. The only problem was that the car had yet to receive a name. Several were proposed: Cheetah, Commander, and the most frequently speculated, Panther. In order to keep pace with the fast approaching release, photoshoots were scheduled. This meant that the first press car had to be assembled with no provisions for mounting name plates on the body panels since General Motors didn't yet know what name plate would go on it. Adhesive backed "temporary" name plates can be seen in some early photos, however the same car can been seen in other photos with no name plates applied. Finally, on June 29, 1966, Chevrolet General Manager Pete Estes put an end to the name speculation. In a networked radio broadcast covering 10 major cities, he announced, “It’s the Camaro!” No one had ever heard of a Camaro, or knew what the word meant, so Estes cleared that up by explaining it was a French derivation meaning comrade or pal, which was intended to express the car’s relationship with its owner. 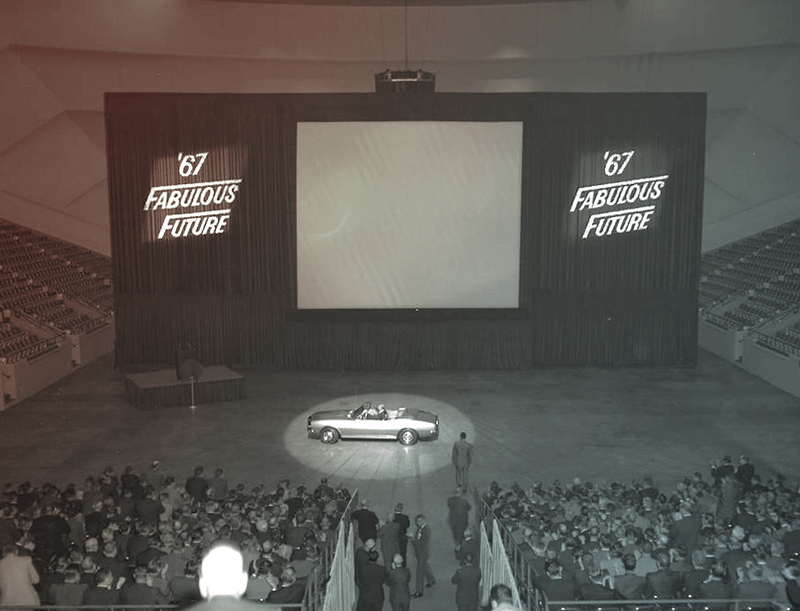 This preceded the September 26, 1966 official unveiling of the Camaro by a mere three months. 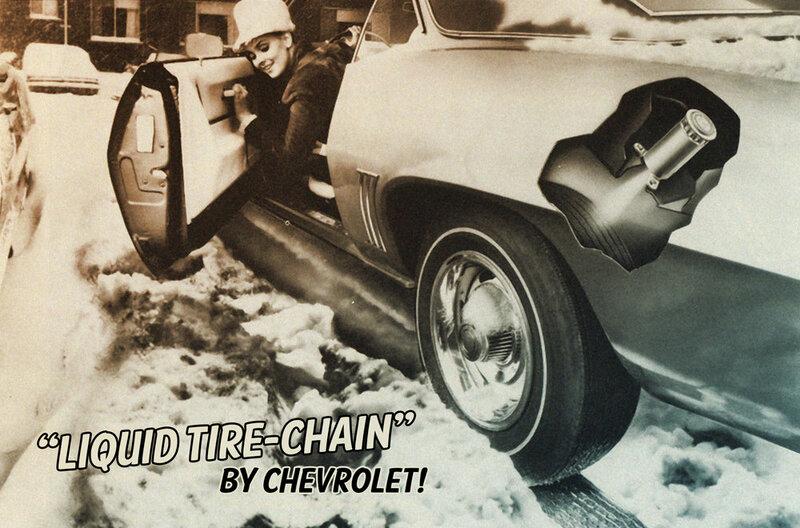 In 1969, GM offered an option called the "liquid tire-chain". What you got, if your car came equipped, were two canisters of de-icer mounted in the trunk above the rear wheel wheels. At the push of a button, de-icer would squirt over your back tires melting the snow and ice from the treads. In-theory, this would give you better traction to move through the slick stuff. In reality, it didn't work so well and was seldom ordered, making it a very rare option found on few cars today. Hot-rodders did, however, find a novel use for the "liquid tire-chain". Some would rig these canisters up with bleach and make a burnout-mobile at the touch of a button. Whether it was the ineffectiveness of the gadget, or a pending liability issue given its bleachy drag strip use, GM cancelled this option in 1970, never to be offered again.